‘Vanishing Points’ from ModeAudio has it all: rumbling Basses, lilting Chord progressions and solid Synths. This is the Minimal preset pack you need whether you’re looking for flights of airborne fancy or a dancefloor workout with a difference. These intricate, precisely programmed FM8 presets are full of the complexity, intrigue and subtlety of bang up-to-date Minimal music. There are Bass and Chord sounds which will prove their worth whether you’re producing for the club or for headphones. FM8’s powerful Modulation Matrix has been used to its full extent to provide you with myriad possibilities, all ready to go at your fingertips. ‘Vanishing Points’ is a comprehensive collection of patches which will help your music to stand out. All 50 presets make full use of the the Morph control, meaning that you are in effect getting 200 unique patches! You can mix and match the patches by dragging them in any configuration onto the Morph control. This means that you can make detailed sequences and smooth transitions with ease, all the while having a powerful live performance tool at your disposal. The pack also includes MIDI loops so that you can try out the presets straight away. 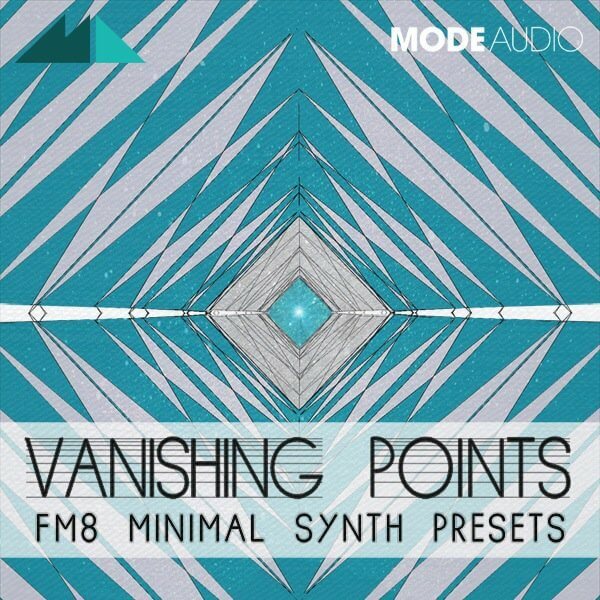 Discover the possibilities of FM8 with ‘Vanishing Points’!